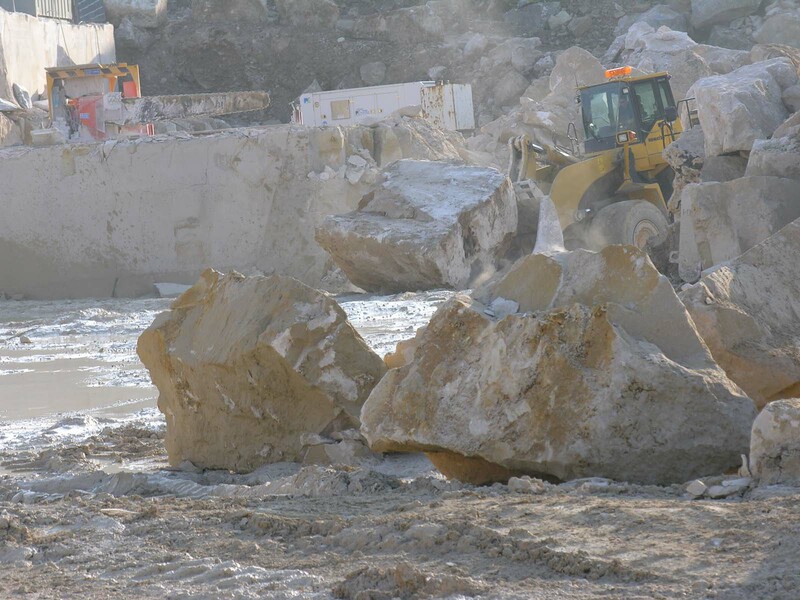 Things are progressing on the Art front. 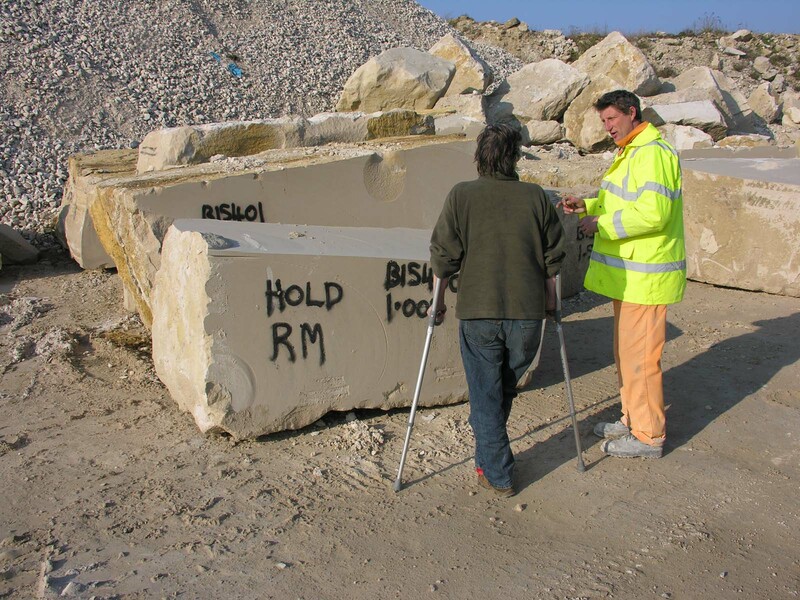 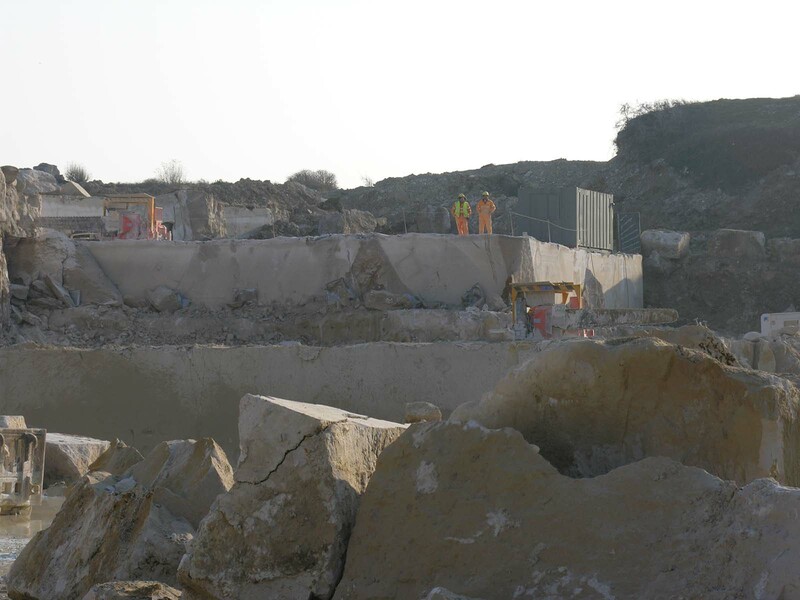 Rosie Musgrave, winner of the Leechwell Garden Public Art Competition, has been to the Albion Quarry on Portland Bill in Dorset and selected the stone she will be using. 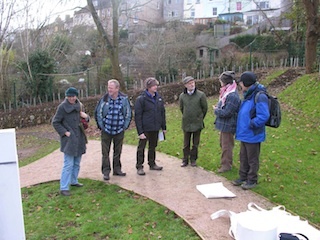 The first picture was taken earlier in the year in the garden when siting and installation details were discussed (left to right - Susie Boyd, Jim Carfrae, Alex Whish, Paul Taper, Rosie Musgrave and Alan Gorman). 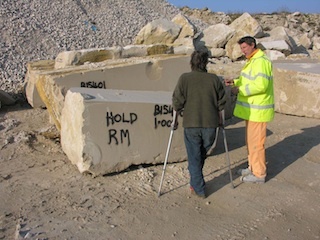 The remaining photos were taken more recently at the quarry - note the one showing Rosie and Tony Booker (manager at the quarry) standing in front of a block that has Rosie's initials on it.